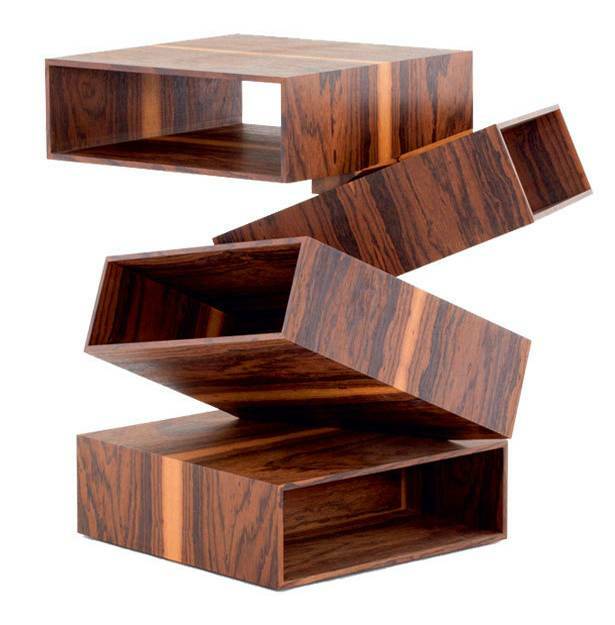 Unique furniture design ideas create beautiful centerpieces for modern interior design and decorating. 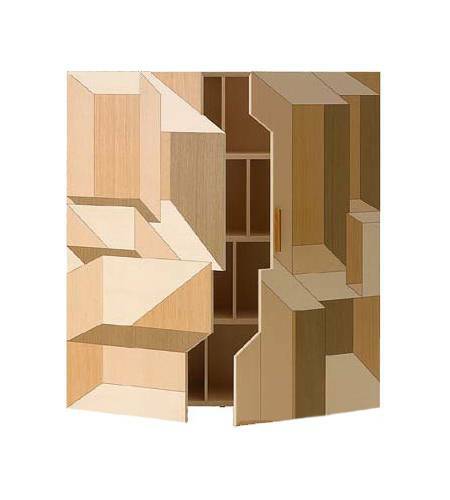 New designer furniture pieces replenish the Lushome collection of original, interesting and modern furniture. 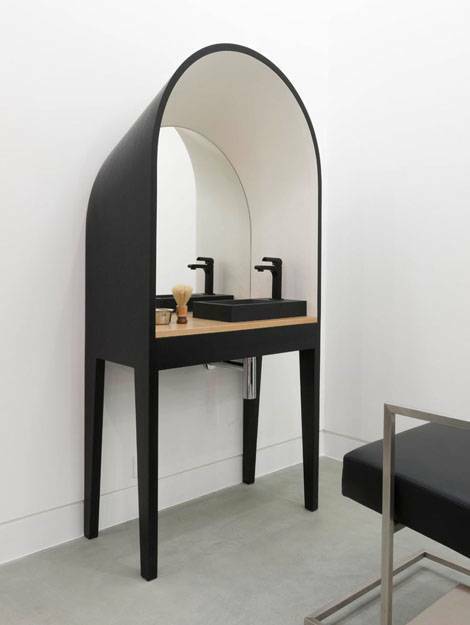 Office desks, sink cabinet and storage furniture for office or home decorating show off contemporary furniture design ideas, attractive material combinations and modern decoration patterns. 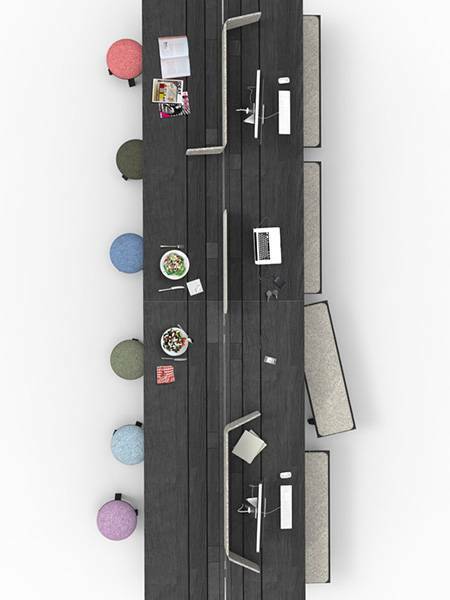 Office desks, inspired by picnic tables, create a relaxing and informal atmosphere in modern offices. 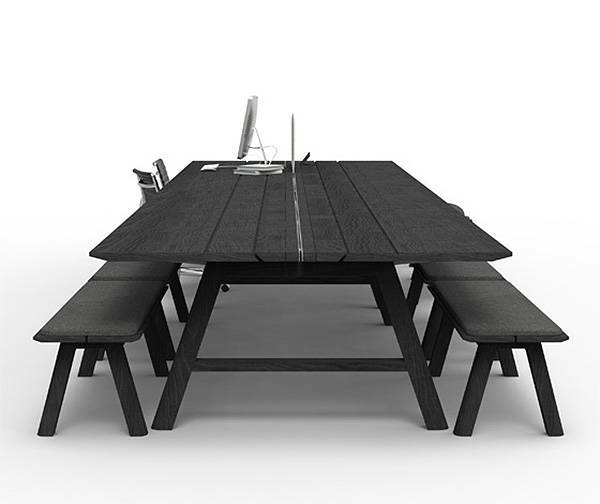 Large wooden office desks BuzziPicnic, developed by Belgian designer Alain Gilles, feature multifunctional furniture design and can be used as dining tables, individual workstations and office desks for brainstorming meetings. The main idea is to reinvent the classic design and remind people of the importance of having fun and relaxation. The original office desks are designed to dilute the boring office atmosphere, bring people together, artificially creating an informal environment which people enjoy. These unique furniture pieces have adjustable tops that can be arranged on different levels on both sides. The standard office desk is great for traditional seating positions, and the bar table height is perfect for people who like to work in the standing positions. 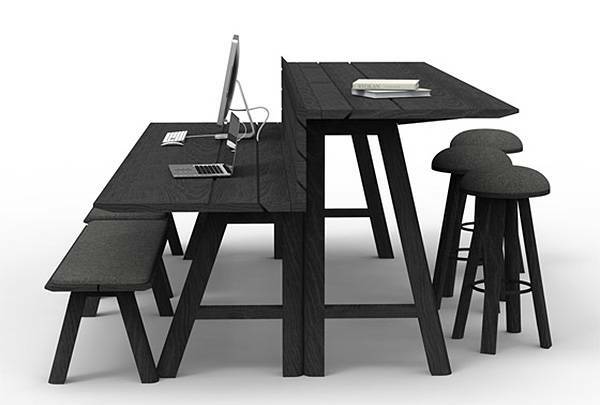 Two or three office desks can be connected creating one large working area. 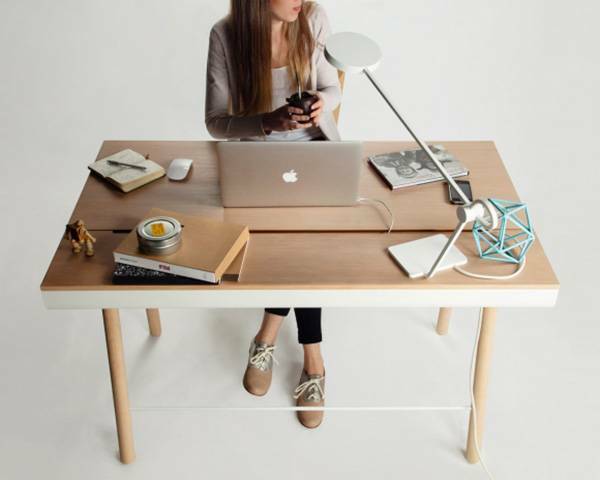 These office desks are eco friendly products made from recycled materials and organic glue. 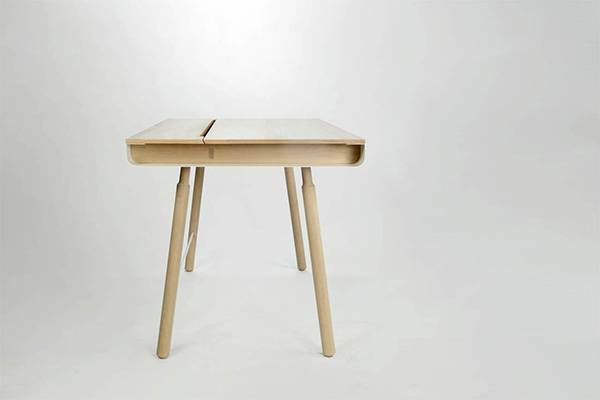 This small office desk is designed by Jose Dominguez and Leandro Leccese who presented their writing table at Milan Design Week 2014. 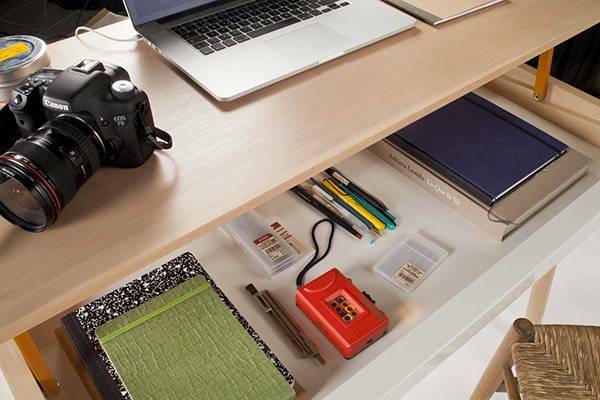 The writing table features compact and functional furniture design with a convenient hinged lid. 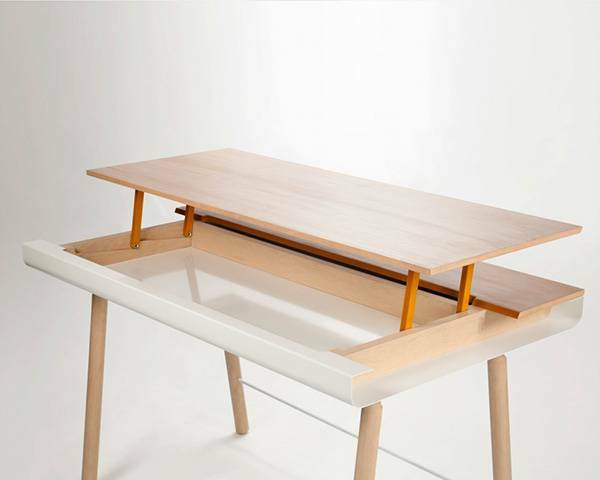 The writing table is made of light wood and steel, and the top decorated with clean lacquer. The writing table takes very little space, light and elegant. Designers from studio Leko decided to get rid of traditional drawers, added a multifunctional small storage spaces and create very light, but functional, comfortable to use and modern table in minimalist style.